In this category you will find a selection of interesting backyards. Often it is amazing what you can find if you leave the streets and step behind a building. 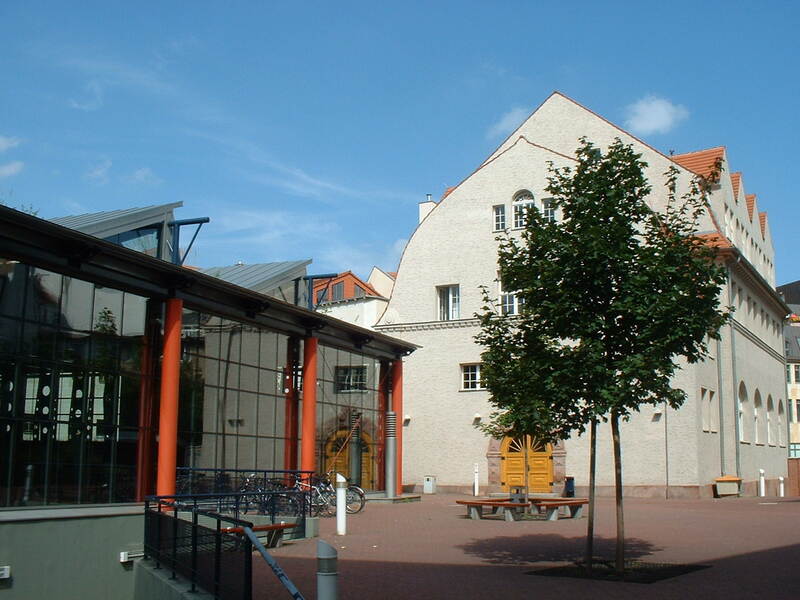 Here you can see a good example: This is the schoolyard of the Friedrich-List school near Waisenhausring street. The yard was reconstructed some years ago. On the left side you can see the very new sporting hall, which was partly embedded in the old city wall.